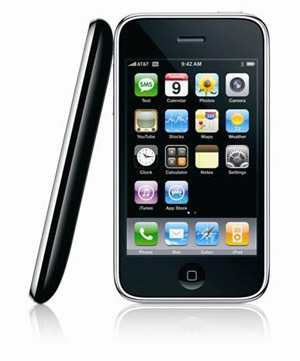 I can’t express enough how underwhelmed I am by the recent announcement of the iPhone 3G. I honestly thought the second generation iPhone might be appealing enough for me to make it my regular phone, but with such glaring feature omissions I will be saving it for times of desperation. Poor camera and no video. 2 megapixels just doesn’t cut it. With 8MP camera phones that are video-capable launching in Europe this summer it’s hard not to fault this. Lack of Bluetooth support. Yes, the iPhone 3G supports Bluetooth, but only for certain devices and it lacks stereo Bluetooth and support for many hands-free in-car systems. Not to mention that the device doesn’t support Bluetooth file transfers. Ouch. Still no support for multitasking. Argh.. Jobs claims this is to preserve battery life, but what a frustration. I often have many apps open at a time on my Nokia devices and find it hard to imagine that I could function otherwise. Hopefully the next iPhone will hold more promise. Power smartphone users demand better than this.